IPVanish has just announced that they have updated their Windows VPN software. Users can expect major improvements in this newest version 1.3.1.8. They have also updated their package offerings in response to increasing Internet censorship worldwide. In a special one-on-one interview, IPVanish reveals the mission behind IPVanish and how they have grown over the past years. 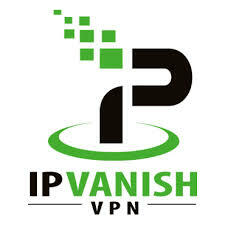 IPVanish is currently one of the leading VPN service providers operating out of the United States. There were a few concerns that were troubling users about the IPVanish Windows software, and the team responded with the much improved version 1.3.1.8. No, aside from being able to use the sorting function, users can select their preferred VPN server straight from the terminal. They can choose any city and country they want to connect to straight off. Another concern for IPVanish Windows users was the L2TP VPN protocol. Those using the Windows XP operating system had problems connecting to the service. This has been fixed, and users can download the update from IPVanish. VPN preferences in this updated version can now also be set. The price hasn’t changed from $6.49 per month, so users don’t need to worry that these improvements will entail higher costs. Internet censorship has been spreading to more countries and is becoming tougher over time. IPVanish has adjusted their packages to give users greater website accessibility. Firewalls and censorship tools can now be defeated with IPVanish basic services bundles. The IPVanish software now includes OpenVPN certificates and configuration. This means that users need not take the trouble to go to the IPVanish website to get this information. DNS settings are now conveniently stored on the IPVanish software. The DNS settings of the user’s network are automatically detected by the software so that users don’t have to manually set them when they install and configure the software. These previous DNS settings of the network are then automatically reset once the user disconnects from the IPVanish VPN. This makes things a lot faster and more convenient. It also means that ISPs will not have to be involved in this part of the setup, giving users more privacy regarding their VPN use. Earlier this year, the IPVanish team consented to a one-one-one interview to answer some questions that users had about their company and their service. Users are always curious to know what drives a company. But especially now, with privacy and Internet security concerns heightened by recent news of cybercrime and snooping, VPN providers have come under scrutiny. The IPVanish team has over 15 years of experience with network management, IP and content delivery services. This has helped them to know how to build a VPN that delivers data quickly and securely. Over these 15 years, the IPVanish team has grown into a solid group of passionate professionals who are dedicated to providing users with a freer Internet. They believe in the right to online privacy, and continually improve the IPVanish VPN around these basic principles. Their mission is to bring their subscribers the best VPN service in the world with fast speeds, secure encryption technology, convenient software, efficient technical support,all at the best prices. Most IPVanish subscribers use Windows OS, but the mobile market is increasing rapidly. IPVanish has responded by providing better software for their iOS and Android users. With increasing privacy and security concerns surrounding mobiles in particular, IPVanish has shared that no user activity is stored by IPVanish while they are connected to the VPN. They do keep logs for troubleshooting connections, but they are deleted regularly. IPVanish also use dynamic, shared IPs to give users more cover as they surf. User traffic is then impossible to distinguish and no individual user can be identified. IPVanish faces the common challenges of staying ahead of the game. They also deal with the usual issues of making sure that the network is available to users, especially in countries that have a growing need for VPN services. But they put in the required amounts of time, research, and investment to make it work for those users who depend on them. In one month alone, IPVanish launched 17 servers in India, Lativa, Norway, Brazil, the UK and the US, which is very big growth for a small company. This is validation of the team’s dedication to upholding their core business objective of free and safe Internet. IPVanish is proud to provide great speeds and reliable connections. Their dedicated team of 125 has spent many years of effort building the backbone of the service and the network relationships. Now they are able to give users optimized service. But they are not stopping there. They plan to continue growing and adding servers on more cities and countries around the world. The company has also recently partnered with FlashRouters. This has given their users a number of options when it comes to getting reliableDD-WRT routers that are custom-built for VPN connections. These VPN routers are delivered to subscribers pre-configured with their IPVanish VPN account for convenience. The router VPN setup is basically plug-and-play and makes it very easy for people to encrypt everything on a home or office network. For more information on IPVanish features and packages, you can read our review and visit their website from this page.